As reported here last week, Lenovo was forced to acknowledge that a dangerous piece of adware was installed on its PCs – which prompted the company to offer this removal tool. 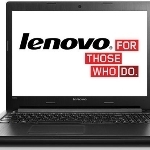 Security researchers have discovered adware pre-installed on new Lenovo PCs that raises serious privacy concerns. Ask.com is using a new name to deliver malware that can “hook deep into the system, hijack browsers and search engine”. 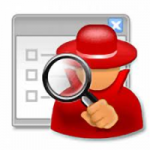 Software from the popular download site FileHippo – is now delivered with adware. Google’s corporate reputation is incredibly good for a company of its size. Yet increasingly, Google is at the scene of Internet frauds and crimes. Our CEO Rob Cheng has described our fight with unscrupulous Google advertisers, and these problems have continued. 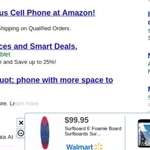 In April, a site named FasterXP.com begun to advertise with Google AdWords, hawking a product that installed several adware and spyware applications. Since we use Google AdSense, those ads appeared on the PC Pitstop site; several users were taken in before we could block the ad. 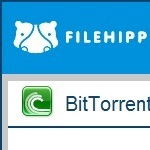 More BitTorrent fireworks went off over the July 4th holiday. After the last episode it was inevitable that the pests would come crawling back, but so soon? I plucked two files and installed them to get the details, but I saw at least a dozen more files that are likely to have the same installer. Here’s what I found out so far. Take a look at our in-depth investigation of infected files distributed via BitTorrent P2P networks and you’ll start to understand how hopeless it is to expect the adware industry to police itself. In some cases I think the problem is that adware companies are truly naive about how they are being played by their affiliate networks. In others, it’s easy to see that the companies are working hard on their see-no-evil position to futher their own company goals. Whether they’re being played for suckers or silently participating in this nasty business, the outcome for consumers is the same. Since early in 2002, we have been using an ad network called Tribal Fusion that serves banner and popup ads to our web site. And since 2002, I have hated these popup ads. Dave would regularly bother me to kill the popup ads, but we just could not afford to do it. Advertisers are willing to pay a significant premium for pop up ads, and at times they have been a significant portion of our revenues. Although XP Service Pack 2 initially provided a respite to users with its built-in popup blocker, nearly all the ad networks have found ways around popup blockers, which makes the popups even more annoying. We only wish it could be under happier circumstances! PC Pitstop has long owned the domain name pctuneup.com, which you may have entered into your browser to get here. For more than five years, PC Pitstop has been helping users get the most out of their PCs. We have worked aggressively to raise awareness of problems such as spyware and adware that can invade your privacy and ruin your online experience. We are proud to say that we have not even let legal threats stop our efforts.